This week, there were rumors that Intel was likely to sell its Internet TV venture to Verizon. I am not surprised. Even with all of Intel's vast resources and over 300 employees behind it, the TV service is on the auction block. What went wrong? A lot! I believe the service was doomed from the beginning. It probably looked great on a PowerPoint slide in the board room. A nice white space in the upper right quandrant of a 2x2 matrix that represented a big growth opportunity for the company. If a proper Market Opportunity Assessment (MOA) was done years ago, by looking at the market/industry dynamics, competitors, customers, and the company's capabilities, Intel should have realized this was not a good idea. Here's my armchair strategic take on things. Intel is a hardware company no matter how you look at it. It's not a media company or a telecommunications company. Even its previous foray into communications (on the hardware side) didn't work out. It's really hard to be something different and hardware + service or hardware + software is one of the greatest challenges for any tech company. Look no further than Microsoft and its hardware ambitions (Zune, Surface). Samsung is trying now to build out its software capabilities, and just had its first developer conference in San Francisco last week. Few companies, like Apple, have pulled it off. Basically, media is not the company's core competency and its failure to secure any content media partners reflects that. Has Intel learned nothing from watching media companies and cable/satellite companies fight and go into blackouts from soured negotiations? Why would you want to get into that space? 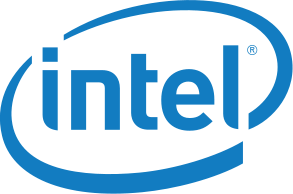 Not only that, Intel would face additional competition from deep-pocketed tech competitors, such as Apple, Google, and Amazon, who also have their eyes on the same prize! But unlike Intel, these tech giants have experience negotiating and securing deals with music and media companies for their online app stores. The supplier power from the oligopoly of the major media companies may have been underestimated. These media companies are paranoid and threatened from all sides. (Anyone appreciate the irony of Intel ex-CEO Andy Grove's Only the Paranoid Survive in this case?) Cable TV, satellite TV, Netflix, Aereo, Bit Torrent, and then Intel comes a-knocking. Is anyone going to return Intel's call? Some, like Netflix, have started to show their potential value as a partner to these media companies. But what did Intel bring to the party besides some buzz on the UX of its interactive TV guide? I don't believe the Intel brand has brand credibility or license to go into consumer living room. Remember how Viiv failed and quietly went away? Viiv was Intel's attempt to be a home entertainment hub. Intel also has a poor track record in consumer electronics. It used to sell digital cameras, MP3 players, and Intel Play PC toys. That business was eventually shut down. Intel Inside, despite being one of the greatest branding stories of all time, has its limits. While I am impressed by how Intel continues to innovate in the microprocessor space and I personally prefer Intel Inside my PC, it's a whole different story to want it in my TV.